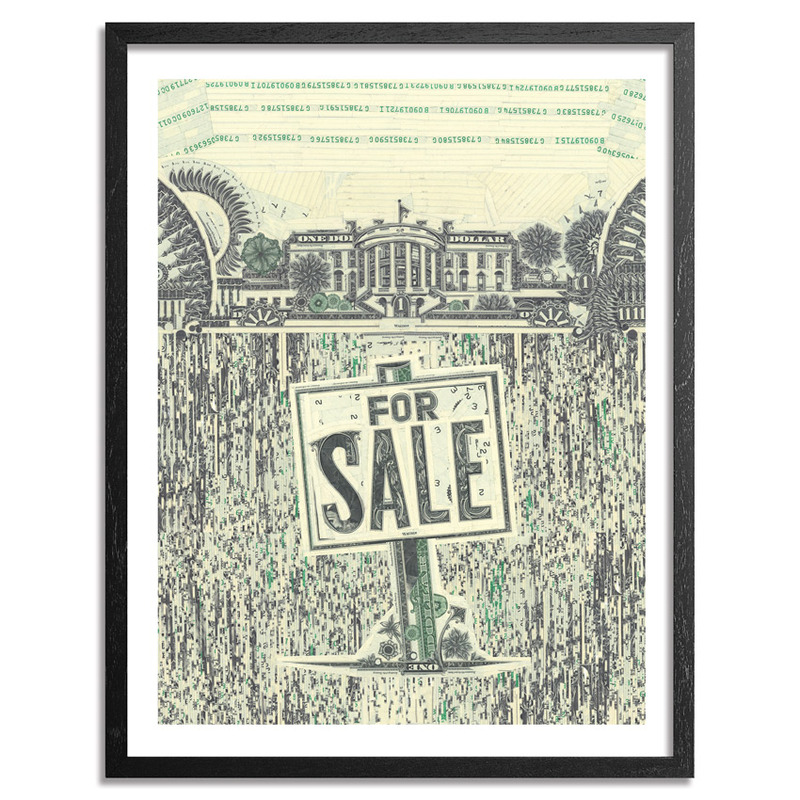 We welcome in currency collage master Mark Wagner as he joins us for his debut RUN with two new editions For Sale By Voter and Empty Promises available for two weeks beginning January 6th ? January 20th to coincide with Donald Trump's inauguration in the new year. We caught up with Wagner to talk about his first release and lots more, read on to find out more. . . 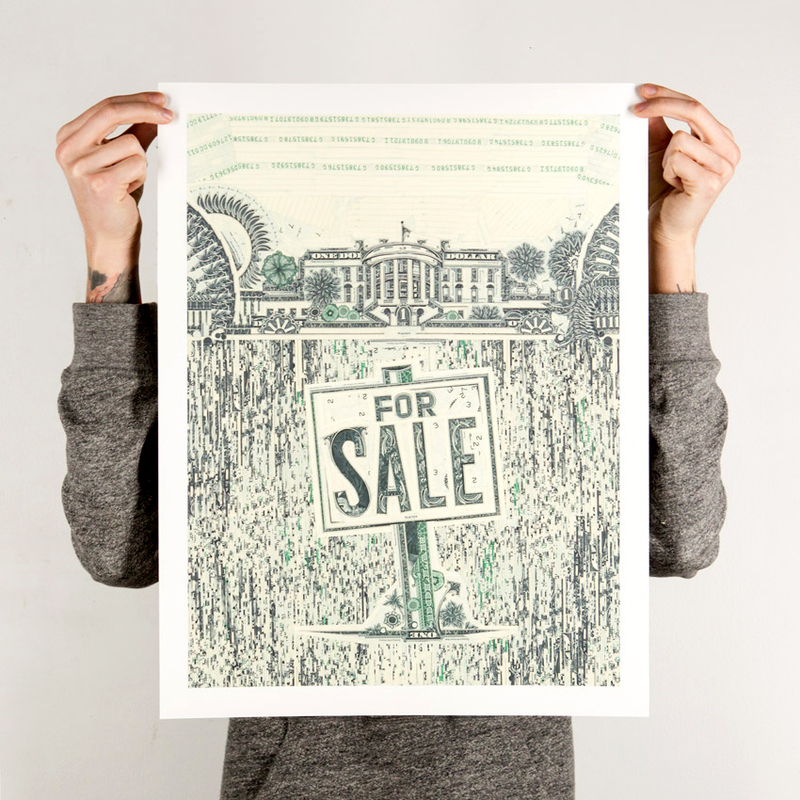 This RUN is signed, numbered and comes with a Certificate of Authenticity from Mark Wagner and 1xRUN. "My work often has a covert political read. I had a show this fall which made it more obvious. 'I'm Mark Wagner and I Approve This Message' ran at Pavel Zoubok Gallery in NYC a month before the presidential election. There were portraits of candidates in a mock voting booth, images of crowds cheering and crowds jeering, presidential podia, allegorical Americans, etc. 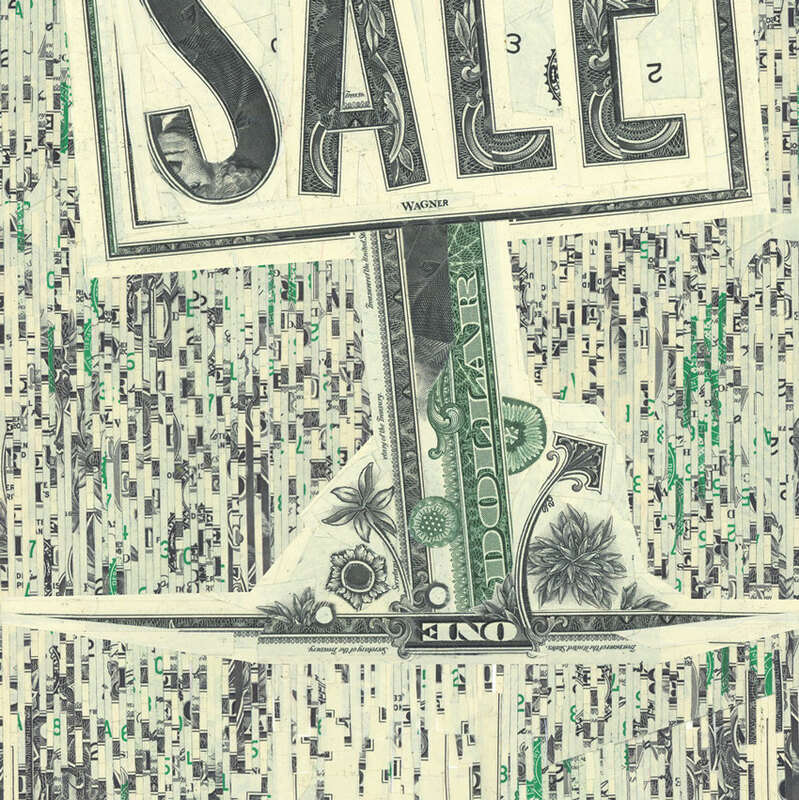 Mark Wagner is best known for his intricate collages made entirely from deconstructed US dollars. 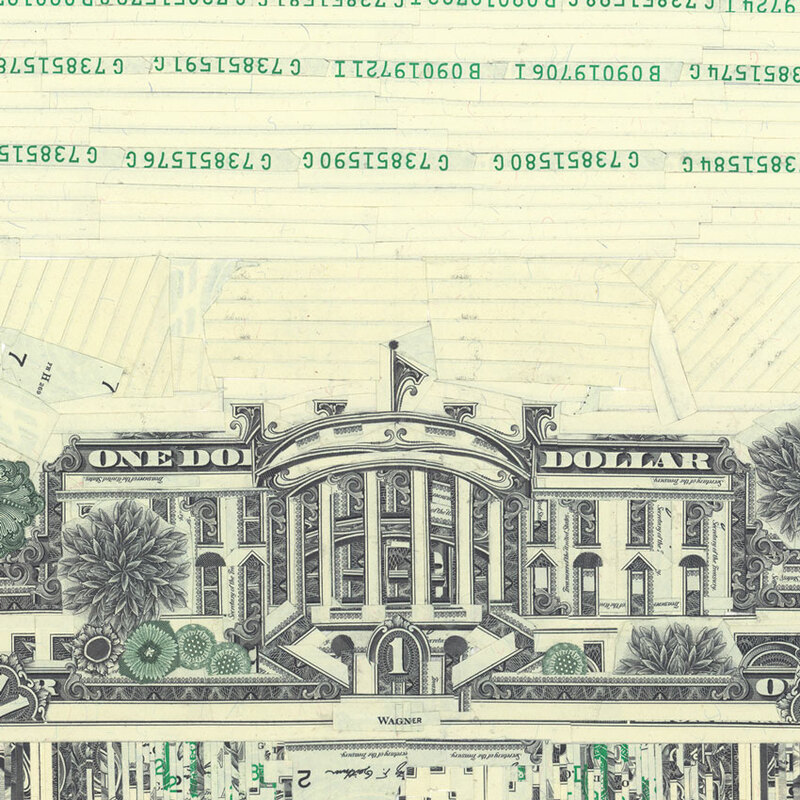 Wagner destroys thousands of bills yearly to create works which pointedly and playfully explore the intersection of wealth, power, value, and American identity. 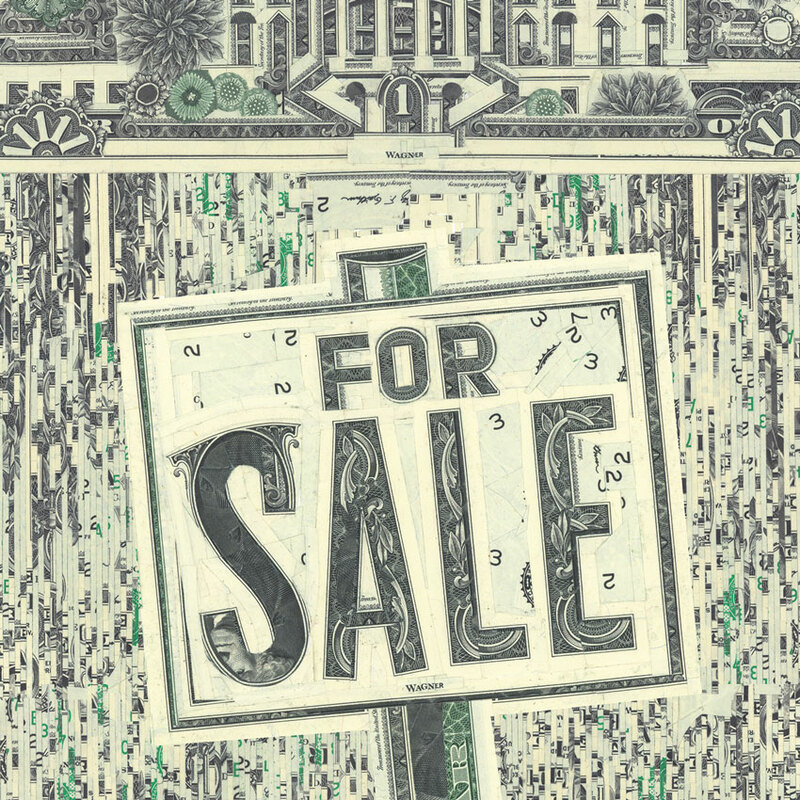 Wagner's audacious (and unlawful) destruction of this revered icon of American commerce is checked only by his virtuoso material manipulation, which renders what you will... portraits, plant life, fantastical beasts, or allegorical scenes recasting George Washington in every roll. His work is collected by dozens of institutions including the Museum of Modern Art, the US Federal Reserve Board, and the Smithsonian Institution. It has shown at The Metropolitan Museum, The Getty Research Institute, and National Portrait Gallery in DC. Follow Mark on Instagram @markwagnerinc & Facebook.